During a recent early morning workout at Shueipingwun Park in Taiwan, I couldn’t help but notice how much healthier the older people appeared than those I typically encounter during my travels in the U.S. Although most were doing some sort of low impact exercise like Tai Chi or walking there was also a lot of laughter filled socializing going on. Suffice it to say, despite the thumbs up I got from an elderly man in the middle of his morning walk, my HIIT jump rope routine felt uncomfortably out of place. Reflecting on this experience, I couldn’t help but recall the 2005 article Dan Buettner wrote for National Geographic about “blue zones” and the secrets to a long life. In addition to becoming one of the magazine’s most read articles, it set Buettner on a path that would result in best-selling books such as The Blue Zones and the largest preventative healthcare project in the United States aptly called The Blue Zone Project. A blue zone is a part of the world where people are either reaching age 100 at extraordinary rates, have the highest life expectancy, or the lowest rate of middle age mortality. To date, only five blue zones have been identified: Ikaria, Greece; Okinawa, Japan; the Ogliastra region of Sardinia; the Seventh-day Adventists in Loma Linda, California; and Nicoya, Costa Rica. (My experience at Shueipingwun Park suggest he may have missed one). Lead active lives – The world’s longest-lived people aren’t spending time in gyms banging out workouts or participating in triathlons. Instead, movement is built into their lives. Experience belonging – The majority of the centenarians interviewed belonged to some sort of faith-based community. Drink alcohol – Except for the Adventists in Loma Linda, people in all blue zones drink alcohol moderately and regularly (e.g., one to two glasses per day). Put loved ones first – They keep aging parents and grandparents nearby; commit to a life partner; invest in their children. Eat plant favored diets – Beans are prevalent in centenarian diets with meat served infrequently. Eat in moderation – In addition to stopping eating before their stomachs are full, they eat their smallest meal in the late afternoon or early evening. Have a purpose – People who live in blue zones have a reason to get up in the morning. 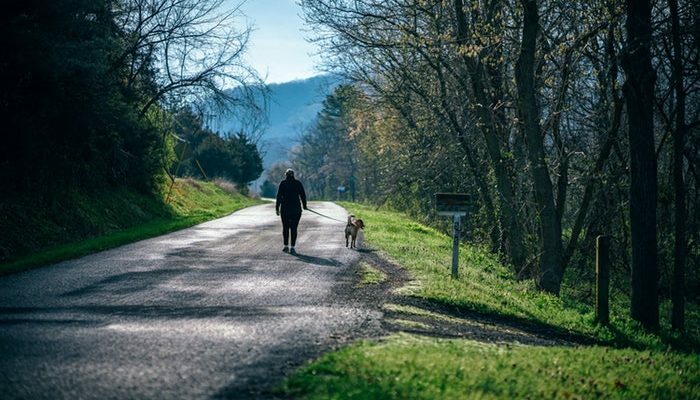 Are able to shed stress – Whether it be through prayer, napping, or happy hour, the world’s longest-lived people have a way of getting rid of the stress in their lives. Travel in good company – People who live long spend their time in social circles that support healthy behaviors. We currently spend over $3.3 trillion dollars on health care and health-related activities, up from $74.6 billion we spent in 1970. Health spending has increased nearly 29 times over the last four decades, from $355 per person in 1970 to $10,348 per person in 2016. U.S. health spending has far outpaced the growth of the American economy, currently consuming 18 percent of our economy’s GDP vs. seven percent in 1970. It’s hard not to wonder if the answer to America’s ever-expanding medical costs (and waistlines) lie in the list above. Indeed, Buettner tells the story of a 60-year old Ikarian man who had emigrated to the U.S. and, after being diagnosed with terminal lung cancer, returned to Ikaria to die. Instead of dying though, he recovered without any medical intervention and, according to this article in National Geographic, when he returned to the U.S. 10 years later to see if his doctors could explain his recovery, all of his doctors were dead. The Ikarian man? He lived past 100 making wine from his vineyards and drinking it with friends. On that note, before checking out for the week, how about an addition to our Manufacturing Peace of Mind™ Spotify playlist? My father lived on the second floor of a Greek diner in New Jersey when he first immigrated to America and as a result, became quite fond of Greek food and culture. Long after leaving New Jersey, whenever we went out for dinner as a family we often headed to a Greek restaurant. It was there I learned to appreciate not only great Greek food but also music. The song I’m leaving you with, “Stalia Stalia” is by one of Greece’s most popular artists Marinella. She’s 80 years old and, in light of the recent concert she put on in Los Angeles with Antonis Remos (Greek Reporter), still going strong!